Many are aware that John Wayne lived in Newport Beach, CA during the height of his celebrity. Remembrances of John Wayne remain around Southern California. People fly in and out of John Wayne Airport, you can enjoy dinner at John Wayne’s table at A Restaurant in Newport Beach or hang out at the well-known John Wayne watering hole Class of ’47 Bar. A statue still stands tall in front of 8484 Wilshire Boulevard in LA, he is remembered as a famous attendee at USC and you can see his footprints in cement outside the world-famous Grauman’s Chinese Theater. This summer though, kicking off on what would have been John Wayne’s 110th birthday, SoCal residents can celebrate the local legend at a variety of events. On his birthday, The City of Newport Beach will be officially rededicating Horace Ensign Park as John Wayne Park. Situated overlooking the Bay with a view of where John Wayne’s boat the Wild Goose is docked, the park will serve as a permanent reminder for the local man with a lasting legacy. Speaking of the Wild Goose, that evening Hornblower Cruises will be hosting a special birthday cruise aboard the Wild Goose! 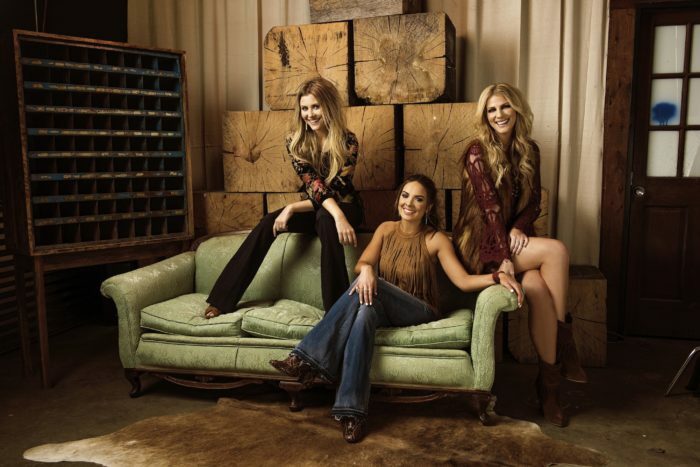 Guests are invited to enjoy a live performance by John Wayne’s granddaughter and her country band Runaway June (have you heard their hit “Lipstick” yet? ), gourmet appetizers and drinks made with Duke Bourbon, all to raise money for the John Wayne Cancer Foundation. To purchase tickets, click here! Kicking off on May 26 but lasting through Labor Day Weekend, visitors are also invited to visit two different curated art exhibits featuring John Wayne. The Balboa Island Museum will be featuring an exhibit showcasing John Wayne, at home in California. Guests are invited to view over 40 images of John Wayne on the Wild Goose, at his home in the Bayshores community of Newport Beach, and enjoying life around Southern California. Included with the exhibit is a brand-new Newport Beach capsule collection, with proceeds benefitting the John Wayne Cancer Foundation and the Balboa Island Museum. To learn more, visit the Balboa Island website here. Docents of the Balboa Island Museum are invited to a special “Coffee with the Captain” the morning of May 26th. Attendees will have a chance to chat with Wild Goose Captain Bert Minshall, and hear stories of John Wayne’s time in Newport. To become a docent and attend, click here. Just up the road, the Newport Beach Public Library is playing host to a selection of 15 modern archival prints of John Wayne by legendary photographer John R. Hamilton. The collection will feature never seen images from some of John Wayne’s most famous films including The Searchers (1956) directed by John Ford, The Horse Soldiers (1959) directed by John Ford, and The Man Who Shot Liberty Valance (1962) directed by John Ford. This rare opportunity to view this lost archive will be on display from May 26 – Labor Day weekend. To learn more, visit the NB Library website here. The celebrations this summer are a great opportunity for residents and visitors alike to remember John Wayne. Not just as the world-famous celebrity, but as the local resident, father, and philanthropist whose legacy through the work of the John Wayne Cancer Foundation remains a testimony to his values of kindness, strength and grit.